Each day, couples make increasingly difficult decisions about their counseling needs. At Polaris Counseling, we understand how challenging it can be to seek counseling for issues that you and your partner might be having. Polaris Counseling specializes in couples counseling for Naperville (IL), Wheaton (IL) and Aurora (IL). Our couples counseling provides confidential, non-judgmental therapeutic support and guidance through caring, fully licensed professional counselors at an affordable cost to you. Marriages and relationships can face powerful stressors. Whether you’re wrestling with poor communication, constant arguing, addiction or something else creating conflict, you have access to help, hope and healing with our professional couples counseling. As we work with you, we will strive to establish a neutral, impartial and bias-free atmosphere in which both parties can feel comfortable and heard. Our goal is to help you find the emotional connection, love and respect for each other that you both need and deserve. Through our couples counseling for Wheaton, Aurora and Naperville, you learn how to listen to and communicate with your partner more effectively. You will focus on resolving current issues and developing the skills to address new ones. As a result, both partners will learn to understand and respect each other’s thoughts, feelings and emotions, as well as how to more effectively meet one another’s needs. If you are facing the fallout from an extra-marital affair or other breaches of trust, our couples counseling will place you on the path to healing. You will learn to eliminate destructive behaviors that prevent you from enjoying a healthy relationship with your partner. We’d welcome the opportunity to help you repair or enhance your relationship. 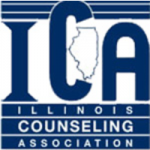 For more information about our couples counseling for Naperville (IL), Wheaton (IL) and Aurora (IL), please contact us at (630) 779-0751. Most major insurance plans are accepted. Day, evening and weekend sessions are available.